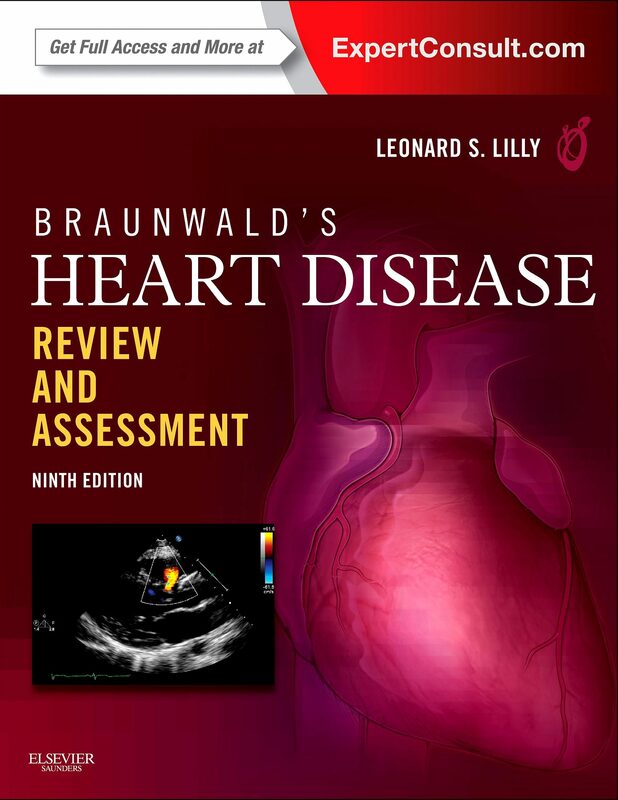 The 9th Edition of Braunwald’s Heart Disease Review and Assessment, by Dr. Leonard S. Lilly, provides a current, clear and concise overview of every aspect of cardiovascular medicine. In print and online, more than 800 review questions - derived from the 9th Edition of Braunwald's Heart Disease - test your knowledge of all essential concepts in cardiology today. Detailed answers and cross references to Braunwald’s make it easy to find definitive explanations for questions you may not have answered correctly. The result is an ideal way to study for the Subspecialty Examinations in Cardiovascular Disease and Heart Failure!Ensure your grasp of all essential topics with more than 800 review questions derived from Braunwald’s Heart Disease, 9th Edition. Easily remedy weak areas in your knowledge by reviewing details for each question, plus cross references to Braunwald’s for more in-depth explanations. Enhance your preparation for the boards by reviewing case studies in all sections of the text.Get a realistic simulation of the exam experience with interactive review questions at www.expertconsult.com. Assess your mastery of the latest topics in cardiovascular medicine, including molecular cardiovascular imaging, intravascular ultrasound imaging, cardiovascular regeneration and tissue engineering, device therapy for advanced heart failure, atrial fibrillation management, structural heart disease, and Chagasic heart disease. Maximize your comprehension with full-color images and illustrations throughout the text. .
Otros ebooks de LEONARD S LILLY.